Rental Yields – Are they the best indicator of a good investment? When I first started investing I had no idea what a rental yield was or what it meant for investing or how to work it out. I was a real property dummy. I knew that the rent was needed to help pay the mortgage, but that was about it. After buying my first investment property a few years ago and having Ian Hosking Richards as my mentor as I grew my portfolio, I now get it. Lindy Lear will be happy to answer your questions through this forum thread! Im thinking of starting my portfolio now that I'm at the beginning of my twenties. I wonder, how do I deal with vacancies? I do need to take a big loan to buy the property and let the rent pay for the loan but the thought of vacancies scare me alot. Is it anything to worry about even though I'm thinking of hiring a property manager? Dump it.Gladstone has been cyclic for years. Property values are based on rumor and hope. No wonder property price are so high. You have eight properties for investment while young people are priced out and can't even find a place to live. This is very unresponsible and ungreatful generation, rather than growing economy by labour output, you people seek easy money and thus long term affecting new generation. I already own a house so no worry for my self. But I worrry for my children... I hope this ponzi scheme will crash and want to see you greedy pigs suffer. yes yes, property advisors, brokers aso love to get you negative geared properties. Loans are higher, commissions are higher. Guess what happens when prices won't rise anymore because people in recession times won't pay rents or don't get loans anymore. Forget the few foreign Chinese investors in Sydney and south brisbane. It sounds like you don't understand how property investing actually works. Also, don't believe everything you read. If Negative Gearing goes just watch rental prices skyrocket. With 8 heavenly negative geared properties and no growth you are done! I rather buy for rentel yield and can retire early on lower income. I would have 250 grand to look for tax deduction now, but for how long? With 8 heavenly negative geared properties and no growth you are done! I rather buy for rentel yield and can retire early on lower income. I would have 250t LNG $ to look for tax deduction now, but for how long? If I have say 4 Investments at 8 % yield and decide to sell them to an Investor at a higher value at 6.5% yield if I have invested 4 million $ what would be the uplift for me. I am wanting to get into the market and I was hoping to get advice on what the best percentage of renters in the area you are looking to buy. I heard that an area with 20% renters was ideal. Is this correct? Kate I look for at least 25% renters. 20% seems low. I have two rental properties that have had great capital growth over the last 10 years. I have been advised to take a third for cashflow/net yield and use to pay off the mortgages on the two capital gain properties.....does that work as a strategy ?? Interesting article and food for thought. Yes many factors to consider when investing in property. I think the other factor to consider is the environmental issues that are predicted in the future and how this will impact property investment and what properties we choose and where they are located. Increased bush fire threats, floods, increased temperatures, water and food shortages. 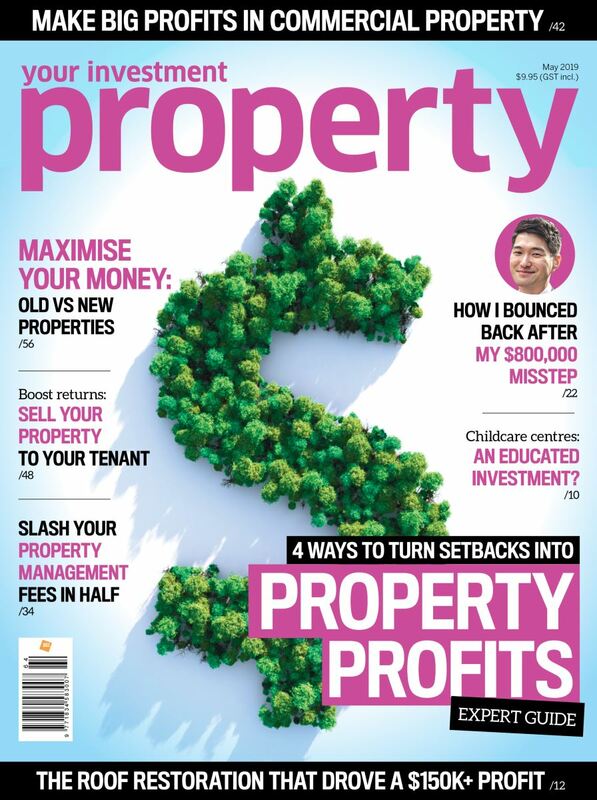 This all impacts property investment. At the age of 20, you better don't buy a property. Save money and earn more, work hard. People hasn't got supplement income to pay of the mortgage, end up in loosing the house to bank and lost their savings.They have to start from scratch. You are too young to invest. Never too young to invest!